Beautifully updated Wood Oak Condo next to the park and close to downtown. 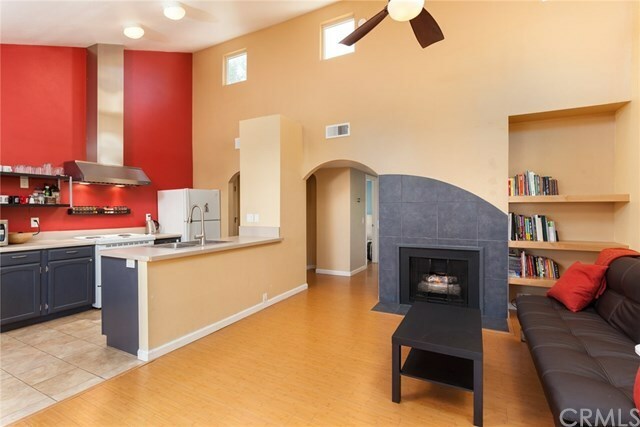 This stylishly remodeled upstairs condo has keyless entry, custom curved archways, recessed lighting, Nest thermostat and newer bamboo flooring. The living room is light and bright with vaulted ceilings and added windows bringing in plenty of natural light. A tile hearth surrounds the cozy gas fireplace with built in shelves for extra storage. The kitchen has refinished cabinets, stainless steel kitchen sink, and a stainless steel kitchen hood. The larger bedroom feels like cozy retreat with wrap around wainscoting, built ins, recessed lighting and new blinds. The second bedroom can function as an office or guest bedroom with a custom built Murphy bed with built in cabinets. The condo also includes newer dual pane windows throughout, 3 year old HVAC, and stackable washer and dryer. All of this and use of the lovely saltwater pool, hot tub, sauna and private entrance gate to one mile. Don't miss out on this special condo in walking distance to farmer's market, shopping and Chico's best restaurants. Information taken from public records, buyer to verify all. Directions: Near Mangrove/Vallombrosa intersection, across the street from the post office.